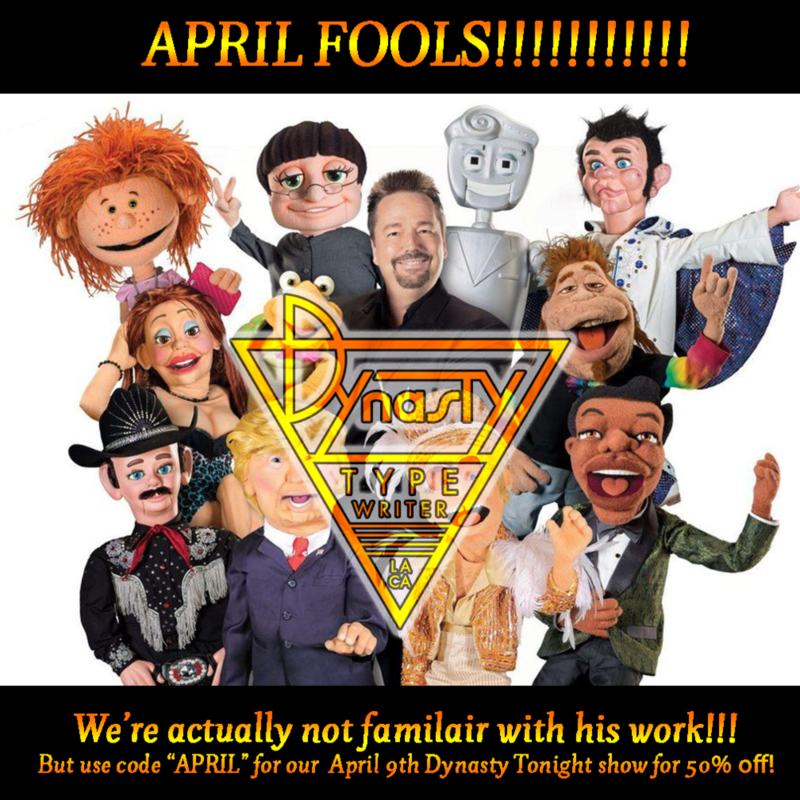 The one and only Terry Fator (Puppets Guy) WILL NOT actually be getting real comfy at the Dynasty for 12 FULL WEEKS THIS SUMMER! Fator fans know what a rare opportunity it is to see him do long sets in an intimate venue, so this will probably be very disappointing for them. For everyone else, what a fun little ride you took! And to thank you for taking this ride we’d like to offer the first 25 folks who find this half off an upcoming show at Dynasty! Use code APRIL when checking out for our April 9th Dynasty Tonight show and get 50% off for a hand picked show just for you featuring Fortune Feimster, Chelsea Peretti, and more! And we promise not Terry Fator! Also, we’ve never met him and aren’t familiar with his work as a puppeteer, so he could be a really nice guy! Or not, who knows! This just seemed like a fun prank! GET TICKETS FOR APRIL 9TH DYNASTY TONIGHT!